Organized Content is Easier to Use. 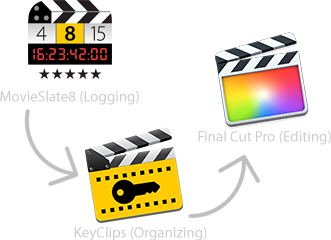 Get fast, searchable access to clips and metadata, without wading through hours of footage. MovieSlate effortlessly logs as you shoot. 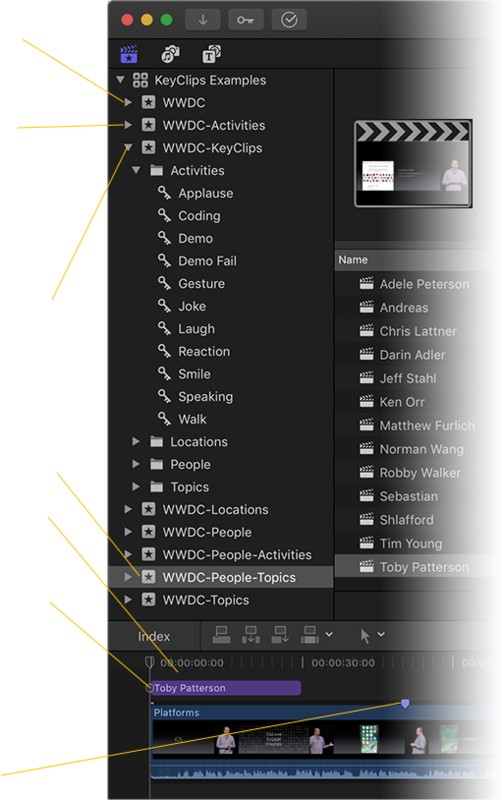 The KeyClips Event contains keyword clip-selects, organized in category folders— with optional shot+production metadata. Sequence for each Person, with their Topics subclips. are created for the first time a person appears within a sequence. Markers are created for clips and wherever a clip appears in a sequence.